Moscow in Movement is the first exhaustive study of social movements, protest, and the state-society relationship in Vladimir Putin’s Russia. Beginning in 2005 and running through the summer of 2013, the book traces the evolution of the relationship between citizens and their state through a series of in-depth case studies, explaining how Russians mobilized to defend human and civil rights, the environment, and individual and group interests: a process that culminated in the dramatic election protests of 2011–2012 and their aftermath. To understand where this surprising mobilization came from, and what it might mean for Russia’s political future, the author looks beyond blanket arguments about the impact of low levels of trust, the weight of the Soviet legacy, or authoritarian repression, and finds an active and boisterous citizenry that nevertheless struggles to gain traction against a ruling elite that would prefer to ignore them. On a broader level, the core argument of this volume is that political elites, by structuring the political arena, exert a decisive influence on the patterns of collective behavior that make up civil society—and the author seeks to test this theory by applying it to observable facts in historical and comparative perspective. 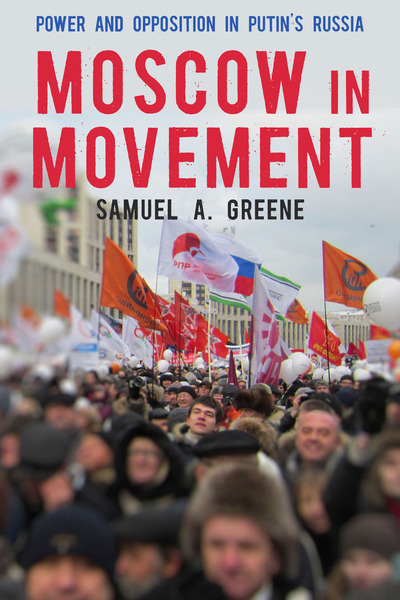 Moscow in Movement will be of interest to anyone looking for a bottom-up, citizens’ eye view of recent Russian history, and especially to scholars and students of contemporary Russian politics and society, comparative politics, and sociology.